The Chiang Mai Walking Market was incredible. As the sun set over the old quarter of the city, street vendors began setting up their shops. All along the sides of the roads and even down the middle, everywhere you looked there was someone selling handicrafts and clothing, jewelry and snacks. Alongside these shops there were many musicians and performers as well. After some time the streets were just packed with hundreds of people! Shoulder to shoulder we walked down the streets, taking in all of the sights. 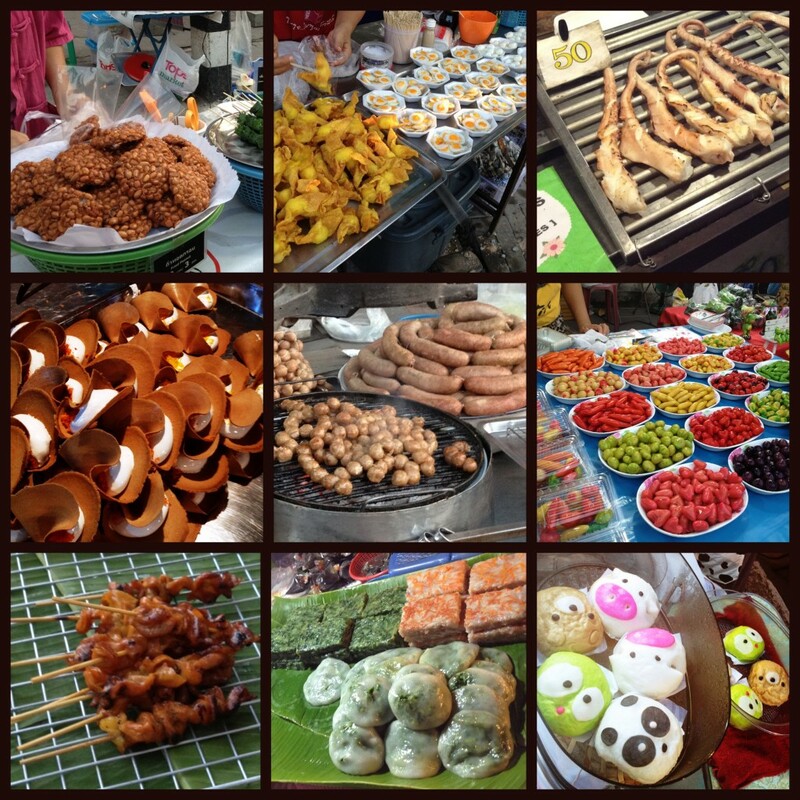 The night market is where I had my first insect-eating experience. For just some small change we purchased a bag filled with pan fried crickets, grasshoppers, silk worms and bamboo worms. We walked down the street, popping insects into our mouths like they were crisps. I have to say – most of them tasted just that way. With the soy sauce that the shop owner had generously poured on top, the crickets in particular we very much like eating crisps. The silk and bamboo worms had quite a different texture, Fox even claims that the silk worms tasted like chocolate. I don’t know if I’d agree with him on that one, but these creepy crawlies definitely tasted less offensive than I thought they would.